I am a security expert at Nokia Bell Labs and research new attack vectors and mitigation approaches. I hold a PhD in Mathematics, and my current research area combines data analytics, penetration testing and privacy. The creation of new and the investigation of existing security attacks using SS7, Diameter and GTP protocols via the Interconnect lead to new countermeasures for 4G/5G networks. I'm also actively supporting the evolution of 5G intereconnection security in 3GPP. The identfied countermeasures using techniques combine monitoring, filtering, and advanced protection with machine learning. As an expert on existing and future attack patterns for interconnection security, I provide advice to our company, customers, standard boards, and regional and national regulating governmental bodies e.g. US FCC or EU ENISA. Recently, I started investigating potential risk areas of 5G, which has a different architecture and design concept compared to the previous releases. I serve as an expert and speaker for 5G Security related research questions. I have over 18 years experience in mobile security research and standardization with strong focus on 3GPP security and GSMA. I'm rapporteur of ten 3GPP specifications and editor of the GSMA Interconnection Diameter Signalling Protection document. Silke Holtmanns, Ian Oliver, Siddharth Rao, Tuomas Aura, “We know where you are”, Cycon NATO Cooperative Cyber Defense Centre of Exellence, Tallinn, Estonia (2016). Silke Holtmanns, Son Phan-Anh, "Access Authentication to IMS Systems in Next Generation Networks", 6th International Conference on Networking, ICN 2007, Sainte-Luce, Martinique, France. Silke Holtmanns, “Anwendungssicherheit und Identitätsmanagement”, Digma, Zeitschrift fuer Datenrecht und Informationssicherheit (Journal for Data Protection and Information Security), September 2007. Silke Holtmanns, Göran Schultz, “Mobile and Fixed Network Convergence -Authentication to IMS in Fixed Broadband Access Systems”, Proceedings of ICIN Convergence in Service, Media and Networks, 2006, Bordeaux, France. Silke Holtmanns, Marcin Toczydlowski, “Confidential mobile mail retrieval” Special Issue of Computer and Communications - Ubiquitous Computing (Elsevier) Volume 26, Issue 11, pp 1219-1224. Martin Gerdes, Silke Holtmanns, “Mobile payment solutions”, Towards the E-Society, Proceedings of the First IFIP Conference: E-Commerce, E-Business, and E-Government (I3E) (2001), Kluwer Academic Publishers, 629 – 642. 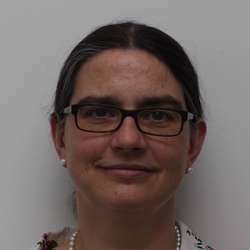 K. D. Bierstedt, Silke Holtmanns, “An operator representation for weighted inductive limits of spaces of vector valued holomorphic functions”, Bull. Belg. Math. Soc. 7 (2000) 1 - 13. K. D. Bierstedt, Silke Holtmanns, “An operator representation for weighted spaces of vector valued holomorphic functions”, Results in Mathematics 36 (1999) 9 – 20.